The chairman of Aviva, Britain’s biggest insurance company, said at their AGM yesterday that the company would prefer to “avoid the uncertainty” of Brexit. 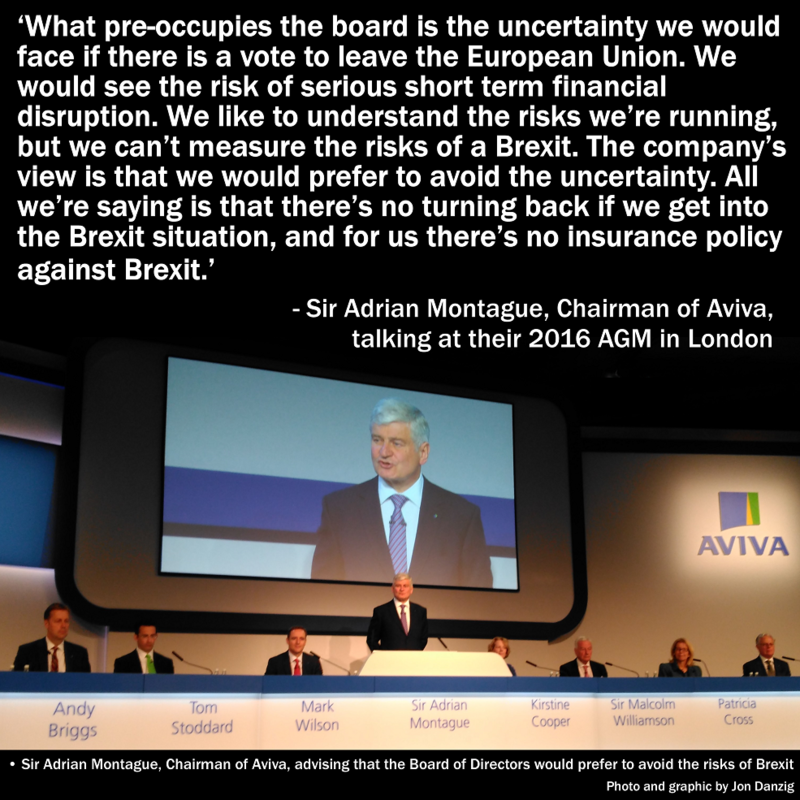 Sir Adrian Montague, CBE, the company’s new chairman, was answering a shareholder’s question about the board’s view on the EU referendum. At first he gave a guarded response. “I am not going to give you any political views on this,” he said. “It’s perilous for any company chairman to trespass on political territory. 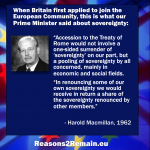 It’s perilous to talk about sovereignty. 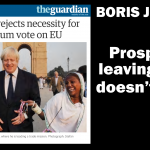 It’s perilous to talk about the package that the prime minister has been able to agree,” said Sir Adrian, speaking at the Queen Elizabeth II Conference Centre in London. A shareholder in the audience stood up to call for a ‘point of order’. “We are not interested in the political views of the board on this issue,” he said. “I agree, I am not going to give you any political views,” responded Sir Adrian. 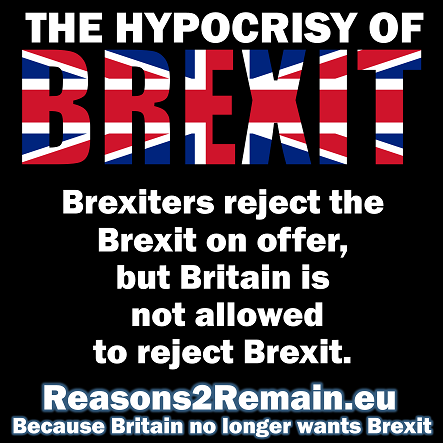 “What pre-occupies the board is the uncertainty that we would face if there is a vote to leave the European Union,” he continued. “We would see the risk of serious short term financial disruption… We like understanding the risks that we’re running, but we can’t measure the risks of a Brexit. There was a loud applause from the shareholders in the audience. 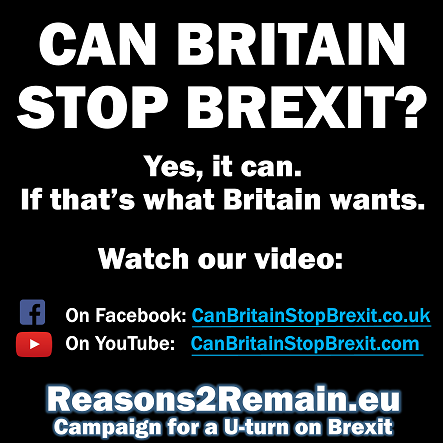 Can Britain stop Brexit? Yes. 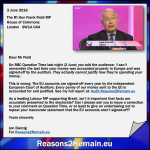 This entry was posted in Current Affairs, Democracy & Citizenship, Economics & Trade, Media & Communications, Politics & Public Policy, The EU and tagged Aviva, Bremain, brexit, EU referendum, European Union, insurance, Sir Adrian Montague. Bookmark the permalink.